Starting July 1, the official Android and Apple App stores will no longer allow Chinese users to download the VPN apps that Chinese people rely upon in order to get around the Great Firewall of China, which censors information in China and surveils Chinese peoples' use of the net. VPNs are banned in China, unless they register with the government and escrow their keys, enabling state surveillance and censorship of VPN users' internet access. But a collection of extremely popular apps have flauted this rule, providing an easy way of circumventing the Great Firewall. 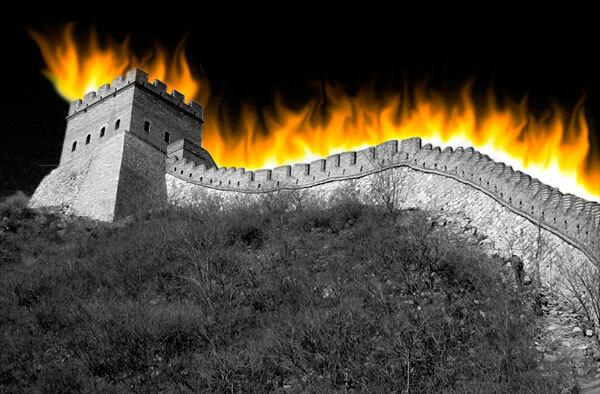 Now, VPN providers have signaled that they expect to be delisted on July 1, apparently due to a stepped-up enforcement regime from the Chinese government, timed to coincide with the 30th anniversary of the handover of Hong Kong from British rule to Chinese rule -- 30 years marked by increasing uneasiness as China systematically reneged on its promises to allow Hong Kong to remain largely independent, culminating in the past few years with kidnappings and forced confessions for dissident publishers and a street uprising over Hong Kong's rigged elections. The crackdown may not be related to Hong Kong news, however -- another possible cause is a series high-profile corruption allegations against Wang Qishan, the secretary of Chinese Communist Party's anti-corruption agency. Whatever the cause, the ban highlights a serious risk in the "app store" walled garden model: namely, that governments will observe the control that manufacturers assert over their customers' devices and insist that this control be deployed to serve political ends. At a time when the Australian government is demanding that crypto be outlawed in Austrlia, New Zealand, Canada, the US and the UK, this worrying development provides a template for how such a ban might be effected. People who follow the news closely might have anticipated the coming of a full VPN ban. In January 2017, China’s Ministry of Industry and Information Technology announced that it would ban “illegal services” that carry out cross-border operations, including unauthorized virtual private networks (VPNs), until March 2018. Yet July 2017 is eight months ahead of March 2018, and state authorities have made no official announcement of the ban being expedited. #July 1 the 20th anniversary of the doomsday of Hong Kong's rule of law and freedom and the CCP #19 Congress around end of the year would be the heyday of the Great Fire Wall. #Xi Jinping is responsible for cybersecurity and he is more heavy-handed and effective in controlling the net. #Xitler.